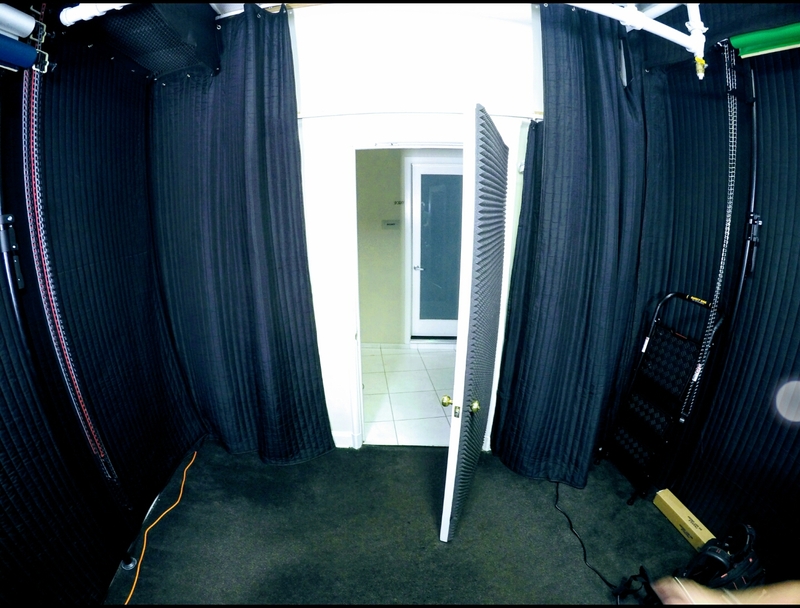 Studio size acoustic sound blankets for sound absorption. Producers Choice. Black-White pack of 4. VB76G Studio size sound absorption Panels Producers Choice. Created for Acoustic room treatment in professional broadcasting stations. Black/White. Size 300 cm x 200 cm each with 10 Grommets on 200 cm side. 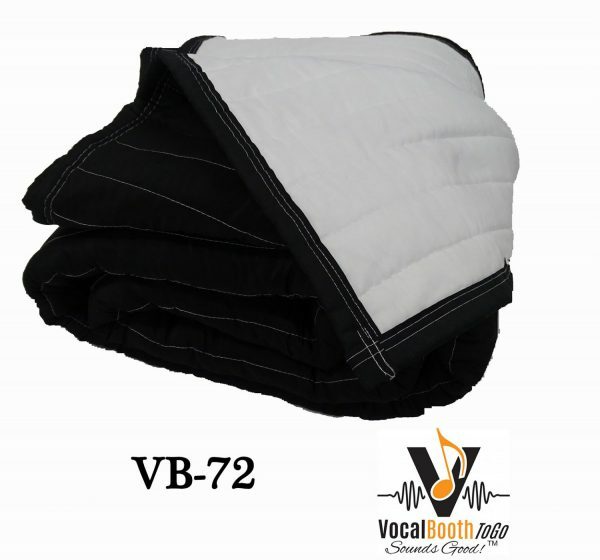 VB 76G Sound Blankets were designed in extra large size to accommodate growing demand from professional video and audio production studios. 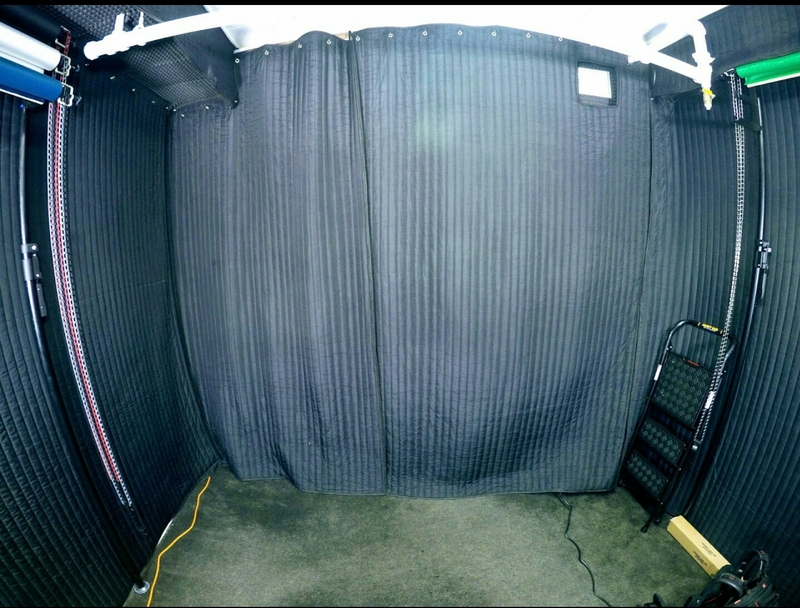 Producers Choice for soundproofing were designed to make voice over and audio recording sound better.Most commercial spaces have high ceiling and this is how Studio Size Producer’s Choice sound blanket solved that problem. 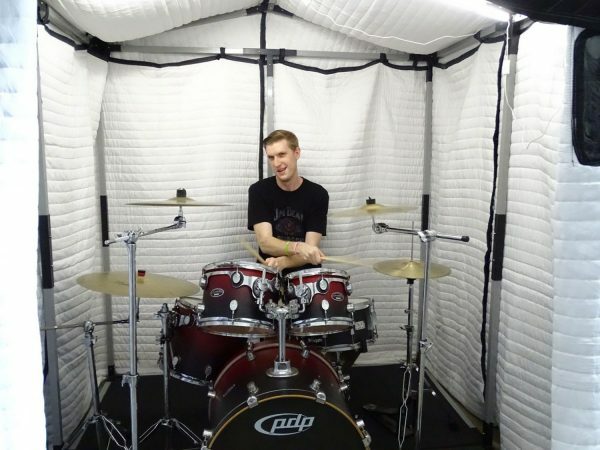 It has the 80% sound absorption capacity and can cover 10 ft high wall from top to bottom and span 2 meters. The 10 Grommets installed on the 200 cm top side make installation easy. Grommets are 1.27 cm diameter (opening). 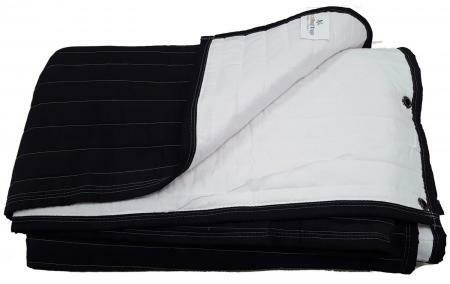 The grommets are black, stitching is white and the blankets are black on one side and white on the other sides. This combination of Black and white allows more flexibility in the use of the blankets. White side make the room lighter and feels more spacious. 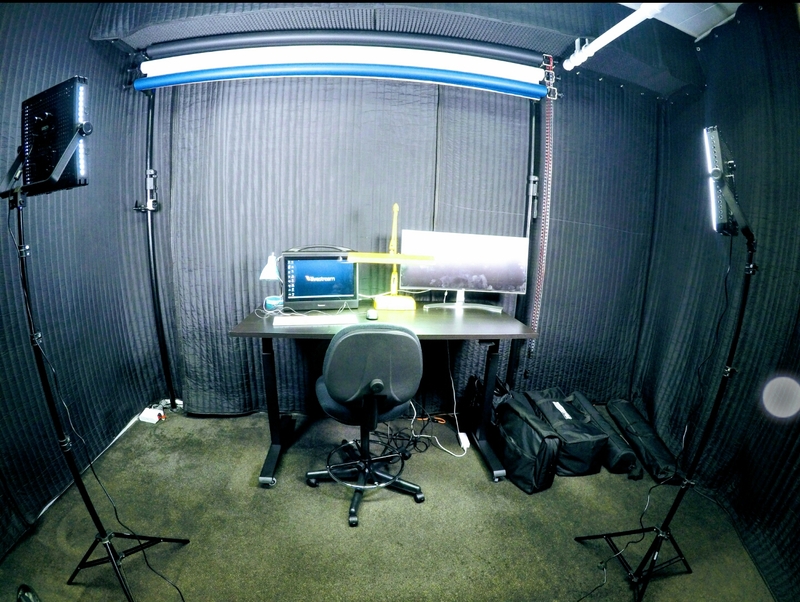 White also helps for lighting in photo and video recording. 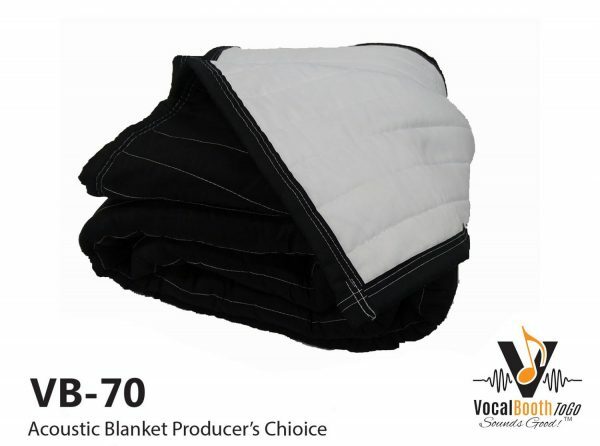 Producer’s Choice blankets are filled with sound absorptive recycled all cotton fibers with the outer cotton-poly mix fabric and designed to perform a specific function of sound absorption. 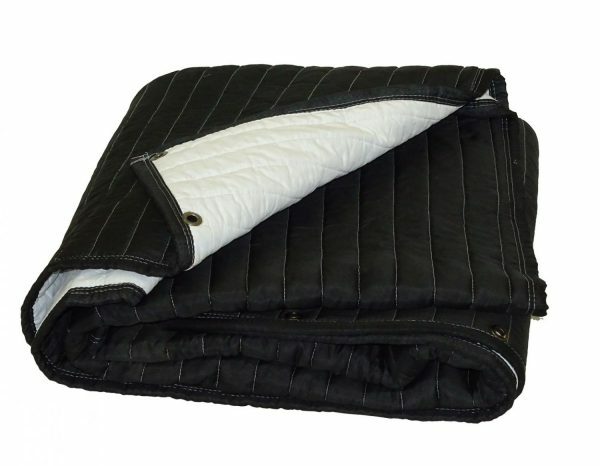 Studio size producers choice sound blanket allow you to control sound reflection in practically any environment. For most efficiency hang the blankets approximately 3 inch away from the wall to create an extra space between the blanket and the reflective surface. ( we have screw hooks available designed specifically for this purpose). Colors: Black one side, white the other. White thread.